Wen-Lu Chao (趙琬如, Allhands editor) – send an emergency Allhands e-mail and inform Webmaster to put announcement on li-ming.org. Lauren Yang (楊麗蓉, Curriculum & Instruction Department) – call Assistant Directors – call teachers under their groups – call room parents – room parents will use e-mail to notify every family in the class. 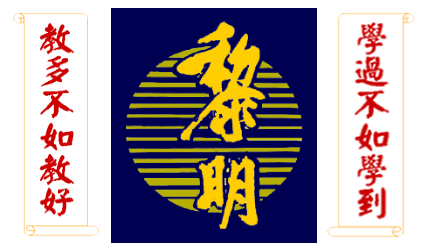 Michael Ma (馬銓, Extracurricular Department) – devise own procedure to notify extracurricular teachers and students (e. g., Taichi, Zumba, Chinese painting etc.) who DO NOT have children in Li-Ming language classes. Mei-Fen Yen (王玫芬, Room Parents Coordinator) – on standby to answer questions from class parents. All Deputy Principals – to staffs in their departments who DO NOT have children in Li-Ming language classes (e.g., Wen-Wen Lu盧文文, Yi-Hsin Yan劉以忻, JJ Chou陳津涓, Gene Chou周今白 …etc.). Vicky Wan (單葳, PA president) to cancel breakfast, lunch orders, and other PA activities in time.